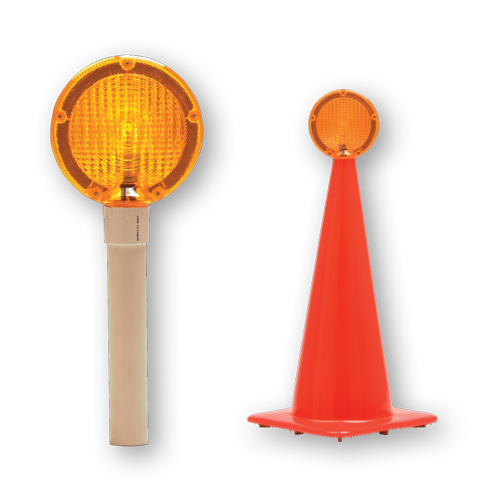 Cones and Accessories | RoadSafe Traffic Systems, Inc.
Re-routing traffic has never been safer than with 42″ channelizer cones. 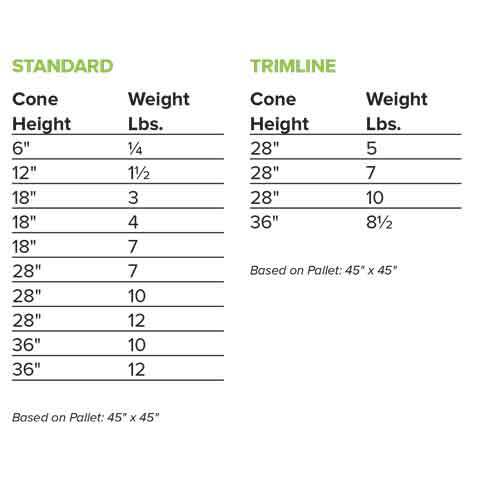 Their trim-line design provides compact delineation, which is ideal for detours, construction projects, concerts, sporting events, airports and many more applications. 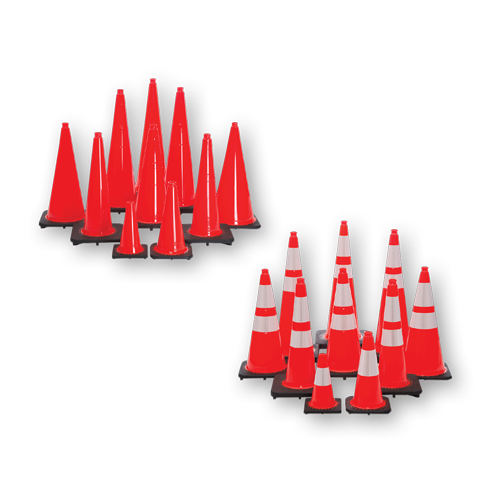 These durable and highly visible cones come with or without reflective sheeting. 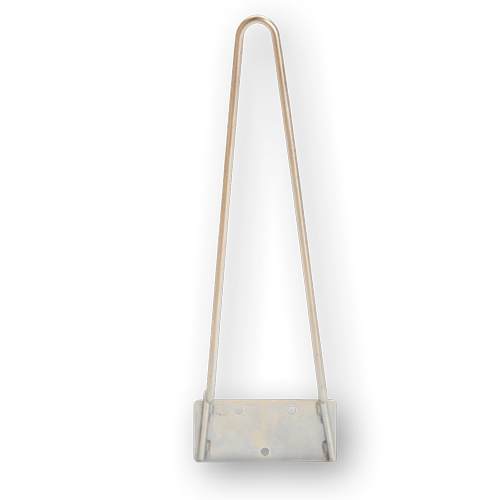 A tapered, fracture-resistant handle provides for added strength, easy pickup and the mounting of lights, signs and other accessories. The vertical sheeting surface has a five-tier, telescopic design, which promotes ease of stacking. Anti-rotation ribs at the bottom make for a stable, secure attachment to the base. A rugged, recycled rubber base provides stability and support with designed-in features to enhance skid resistance, stacking and handling. 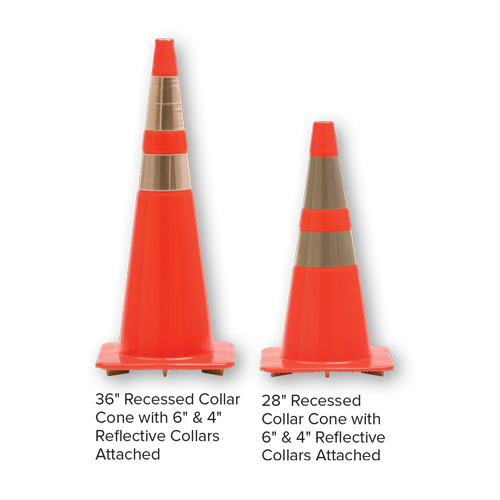 Our recessed collar cones protect the reflective collars from potential damage when cones are stacked. 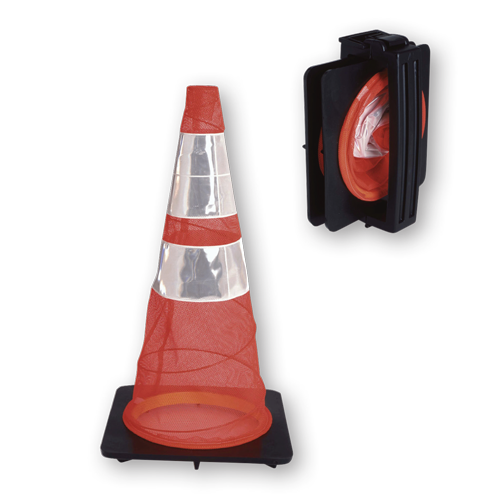 The Spring Cone is made of a durable, bright orange, flexible mesh material with a heavy-duty rubber base. The flexible spring allows the cone to automatically self-deploy and spill wind for increased stability. 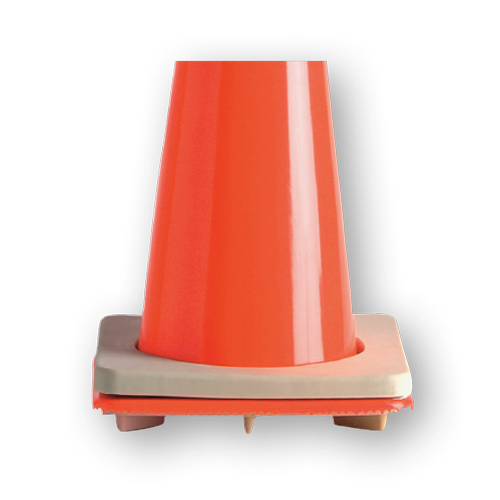 The Rubber Base securely grips the road and holds the cone in place in heavy traffic conditions. Cones come in 3 and 5 pound models. All Spring Cones come with Reflexite Cone Collars. 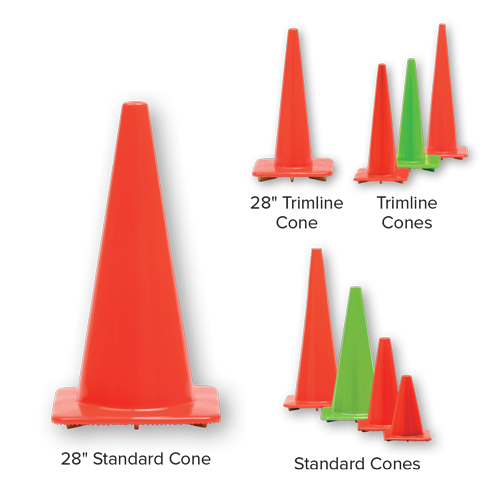 Sports cones are made from lightweight, durable injection-molded polyethylene. 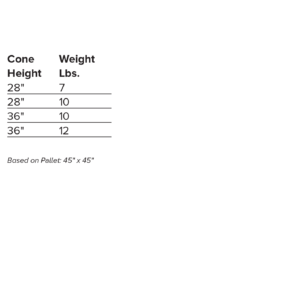 18″ height with a 12″x12″ base. 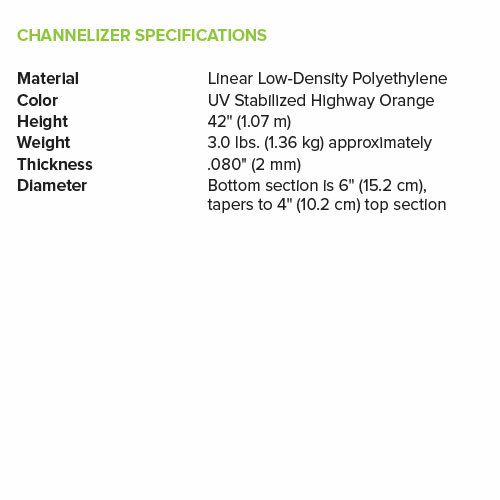 Ideal for amusement parks, schools, sporting events, parking lots and temporary traffic control. Special stenciling and reflective collars available*. 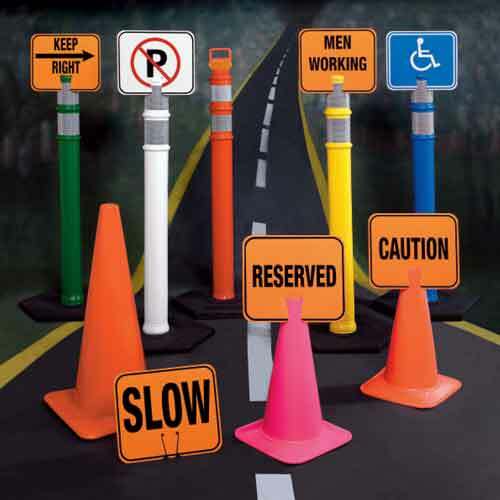 With multiple options or configurations, traffic cone accessories enhance visibility and diversify the function of traffic cones by explaining hazards or fortifying a physical or visual barrier. 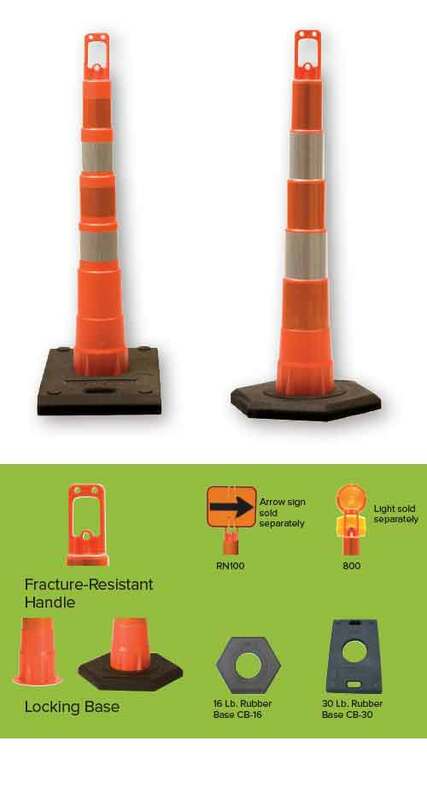 RoadSafe offers a variety of products which include cone signs, light collars, holders and stabilizers. 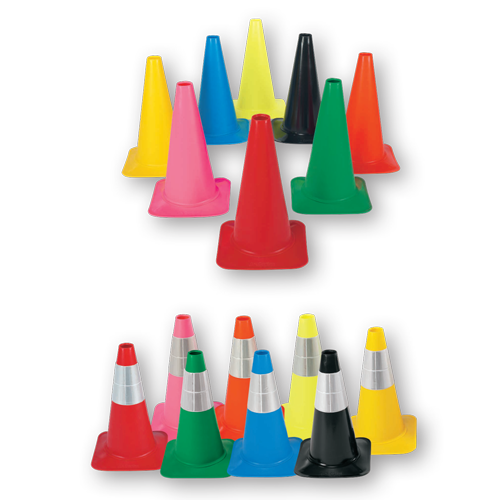 Attaches to all manufacturers’ cones. 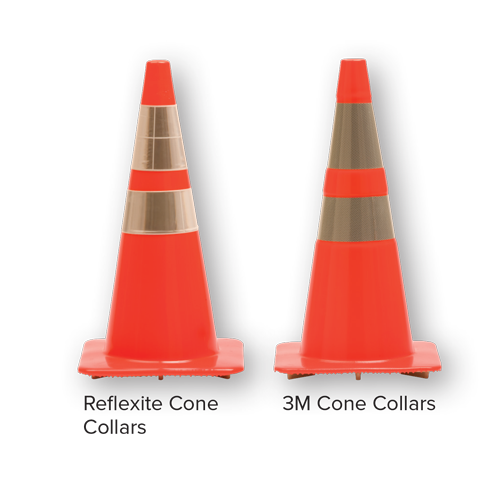 Cone Collars – Enhanced Visibility for Nighttime Use.